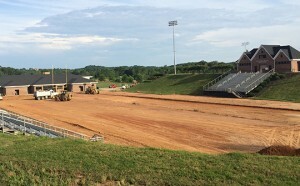 North Greenville University is undergoing a massive reconstruction of Younts Stadium – going from a natural field to APT’s Gridiron turf. NGU has also chosen APT turf for all of their varsity sports fields and APT’s Rekortan system for their running track. Click here to see what the NGU Crusaders have to say!